While Huawei is ready to create waves with the launch of Mate 20 Pro in India tomorrow, the Chinese giant is now looking to pip Samsung with the unveiling of a new smartphone that includes a punch-hole front camera in China in December. 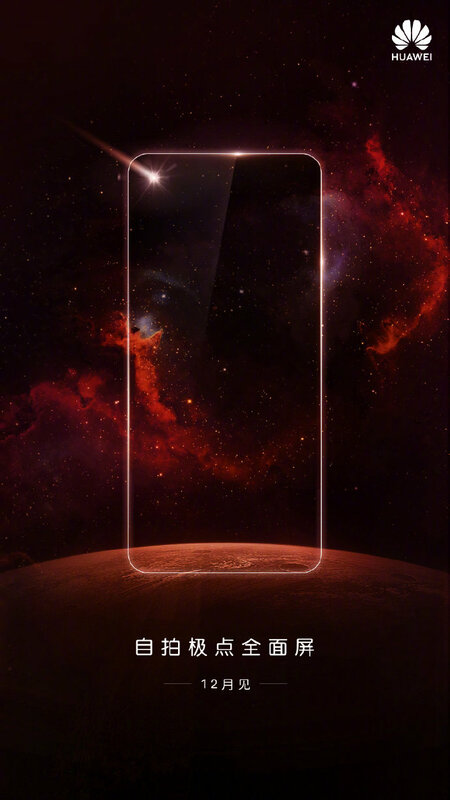 Samsung has already confirmed that the Galaxy A8s will be launching with an Infinity-O display (with a hole for an under-glass selfie camera), but Huawei has now posted the teaser image attached below on its Weibo profile, hinting at the arrival of a phone with a hole for the camera near the top left corner. This is the first time we’re hearing of a Huawei device coming with a camera hole in the display and the teaser also mentions that the device is coming in December. 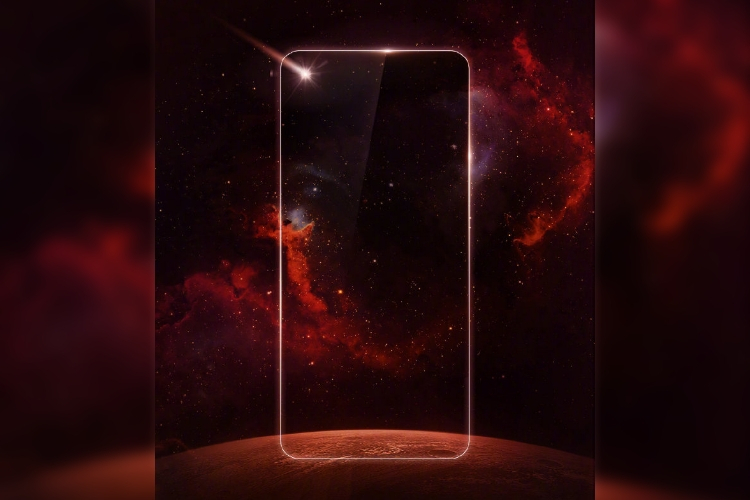 The rumor mill is now abuzz with speculation over which phone it could be and the popular opinion hints towards Nova 4 – a premium flagship and a successor to the Nova 3 that launched earlier in 2018. This means we only that the device will be powered by Huawei’s latest flagship chipset, Kirin 980 and nothing else. However, this teaser does make two things very clear. The company is looking to get rid of the notch and appears to be in no mood to cede its pole position in the global smartphone market. It is ready to take on Samsung by launching an Infinity-O display-backed device before the Galaxy S10 (or Galaxy A8s). So, are you excited for the launch of this Huawei smartphone? Or does the Galaxy S10 lineup pique your interest even more? Let us know in the comments down below.